With studded embellishment this khaki vest by Aprico embodies laidback glamour. 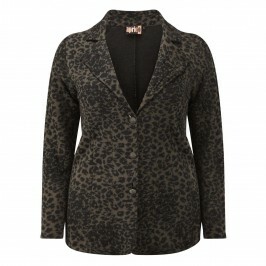 Team with jeans and the matching animal print cardigans for an effortlessly stylish ensemble. Khaki vest. Stud detail. 48% Wool, 48% Viscose, 4% Polyamide. Delicate wash. Please call customer services or one of our branches.